Christmas is coming; the goose is getting fat……. Woman in Ikowa Village caring for her pigs! Yesterday (Nov. 1st) I received this message on Face Book: “Halloween is over ~ BAM, it’s Christmas.” Don’t ask me what happens to Thanksgiving and Advent. Certainly, our mailboxes are already jammed with Christmas catalogues, not to mention all the requests for donations to worthwhile organizations ~ Boy’s Town, Cancer, Heart, Leukemia, Alzheimer’s, Wounded Warriors; the list goes on. We pick and choose. One of Claude’s favorites is St. Jude’s. The Wilbur Project (piglets for African women) has been heart warming. What started as small as a mustard seed has grown significantly. We could say it is a huge tree now. 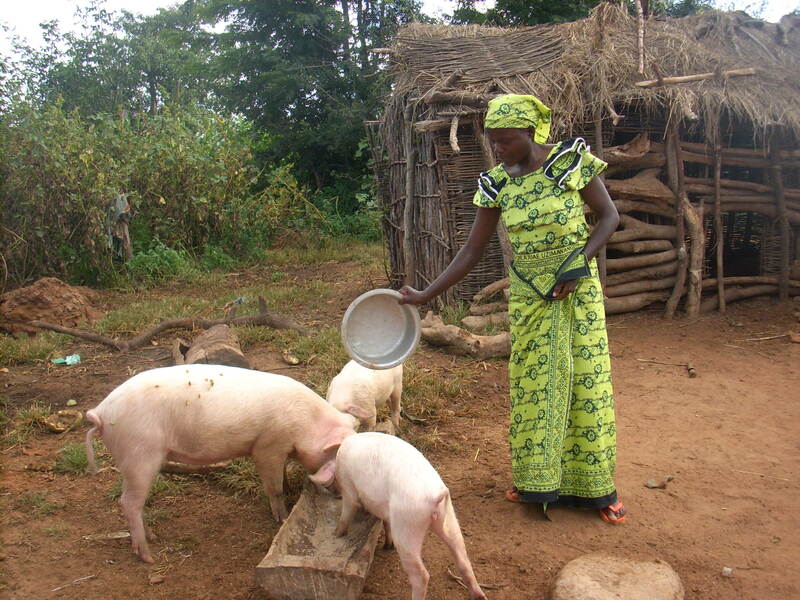 Over 600 women are raising pigs and are now able to send their children to school. This also allows them to provide more nourishing food for their families along with giving the women a sense of pride and ownership in their own worth. Karimu is offering them classes in business practices ~ bookkeeping, marketing, banking, saving and lending to other women.